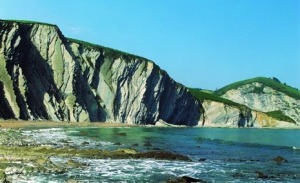 We are located in the very heart of the Geopark of the Basque coast. In LASTUR you can visit its beautiful Chapel, try the local food in the local restaurant, enjoy the bull shows and have a look at the 2 CORN MILLS that have been recently renewed. Nearby, you can visit Itziar´s Church (the oldest romanic santuary in Gipuzkoa). Next to the church is Jorge Oteiza´s famous sculpture "Amatasuna" (Motherhood). The Izarraitz mountain range, for the ones who enjoy hiking. Thare are also lots of caves ready to be explored. The world famous cave of EKAIN, is a site which offers its ancient cave paintings.The original cave of EKAIN is closed for public visits, but you can enjoy the recently built replica of Ekainberri, which requires previous bookings to be visited. Wonderful beaches, just 10 minutes away in Deba, Zumaia, Mutriku. The abrupt coastline that goes from Zumaia to Deba shows us the geological history of millions of years in the phenomenon called FLYSCH. A guided boat trip from Zumaia to Deba is available in the summer months. Nature interpretation centres in Algorri, Zumaia, Nautilus, Mutriku and the Geopark in the square of Lastur. For the lovers of wild, secluded places, you can visit SAKONETA beach, just accesible after a 15-20 minute walk. Mountain Bike fans must visit the Mintxeta centre, where different panels show different routes in our area. 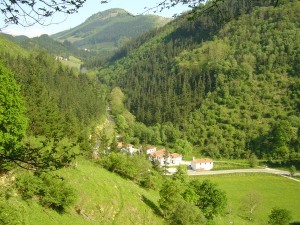 Spa resorts in Deba, Zumaia and Zestoa.